A Stockton woman is in custody at the San Joaquin County Jail after being arrested on suspicion of murdering her stepdaughter. On Sunday, November 25, Stockton Police officers responded to a call to an area hospital regarding reports of child abuse. When officers arrived, they learned a 4-year-old girl had severe injuries and had to be transported to the UC Davis Medical Center. During the investigation by detectives from the family crimes section, it was learned the incident occurred at the family’s residence in the 8600 block of Rice Court. San Joaquin County Child Protective Services assisted by taking the victim's siblings, boys ages 4 and 5, into protective custody. 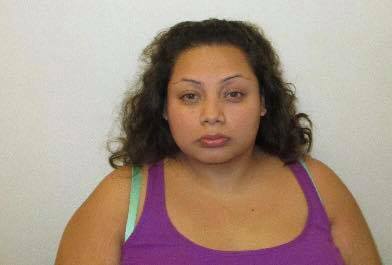 Today, the child died and detectives arrested her stepmother, Zulma Chavez-Ventura, 21, on homicide and felony child abuse charges. No Comment to " Stockton Step Mom arrested after beaten child dies "